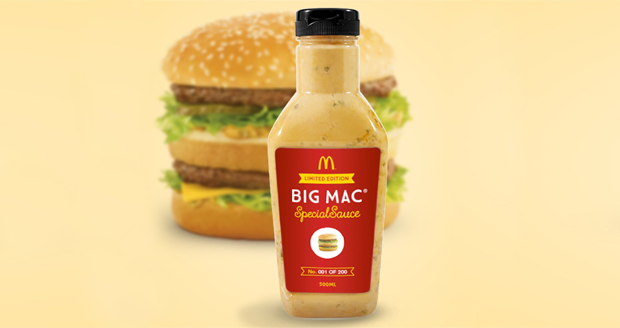 How much of your human currency would you pay for a bottle of your very own Big Mac sauce? 10. 20? 50? A thousand? Tens of thousands? If your answer was tens of thousands then you're in luck! And also an idiot. 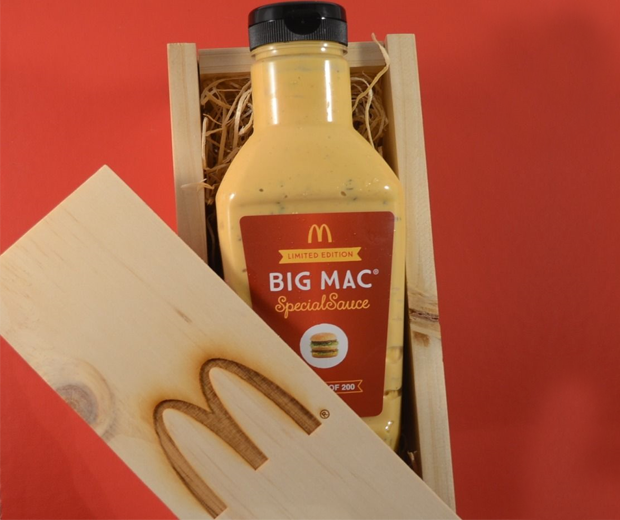 McDonalds are ebaying 200 500ml bottles for charity. Haven't charities had enough? I hate charity. The first bottle at the time of writing was up to $23,000 Australian dollars. Or a gazillion Zimbabwean pounds if you're not Australian. Postage is free though, so that's good. 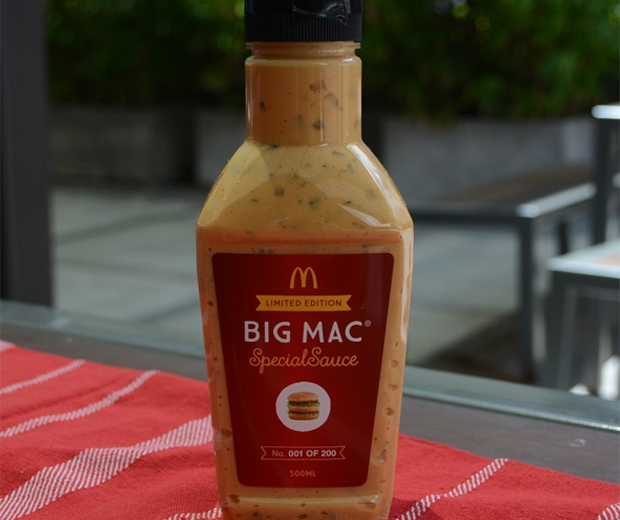 If you don't want to lay down ten grand on burger sauce, McDonalds in Australia are selling 600 small tubs for 50 cents each at secret locations. So it's either spend thousands of dollars on ebay, thousands on a plane ticket to Australia, or just buy a Big Mac and scrape it off into your pocket in the toilets, like I do.